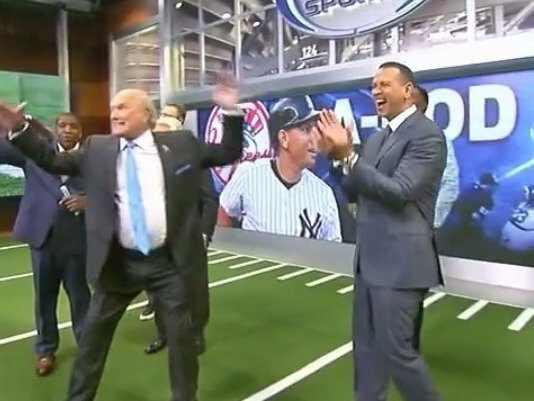 Alex Rodriguez could maybe moonlight as an NFL quarterback, but it doesn't seem like Jay Glazer of Fox Sports has a chance to be a receiver. Rodriguez was doing a guest appearance on Fox Sports before the NFL kickoff, when they decided it would be a good idea to have him throw to Glazer on the set. Come on, Glazer, you have to come down with that.